If you remember standing in line to see Sean Connery as James Bond in “Dr. No” or where you were when a man landed on the moon our Sixties Set is perfect for you! Reach back in time with popular songs that survived from LP to MP3! 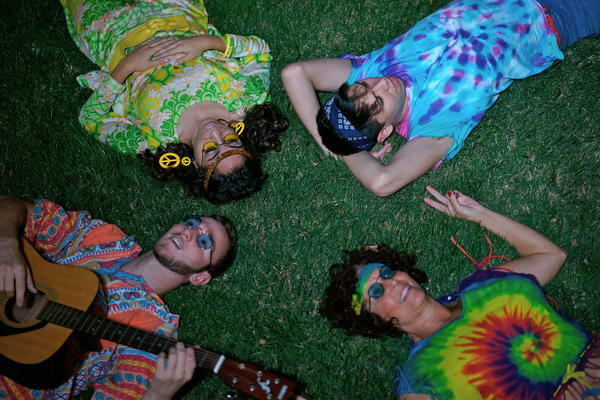 The Doorway Singers will transport you back to those glorious days with their perfect blend of harmonies singing the music of The Mamas & The Papas, The Ad Libs, The Doobie Brothers, and many more. This set features songs from every genre ranging from Soul and R&B to Surf Rock and Pop. Their colorful costumes set the scene and they are the perfect feature for summer beach parties, fun corporate events, and so much more!